Molybdenum is a mineral your body requires to trigger the function of enzymes essential for the synthesis of amino acids and the metabolism of certain compounds. Adults who are at least 19 years old need approximately 45 micrograms of molybdenum each day. Not getting enough molybdenum may increase your risk of esophageal cancer and lower your life expectancy, according a 2012 study published in the "Global Journal of Health Science" and a 2009 study in "Environmental Geochemistry and Health." Molybdenum deficiency is rare in the United States. A varied, balanced diet that includes molybdenum-rich foods can help ensure that you reach your daily requirement. Beans and legumes contain more molybdenum per serving than any other food. 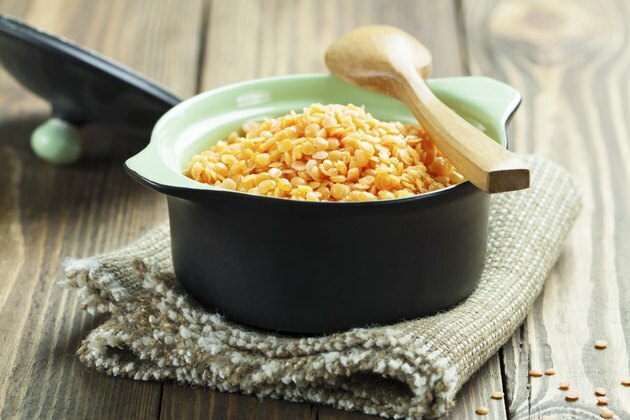 A single cup of cooked navy beans contains 196 micrograms of molybdenum, which is more than 100 percent of the recommended daily allowance of the mineral for men and women. Other molybdenum-rich bean and legume choices include black-eyed peas, with 180 micrograms per cup; lentils and split peas, which both have 148 micrograms in a cooked cup; and kidney beans, which contain 132 micrograms of molybdenum in each cup. Use cooked beans in salads, soups, stews and as a side dish for roasted or braised meat or poultry. 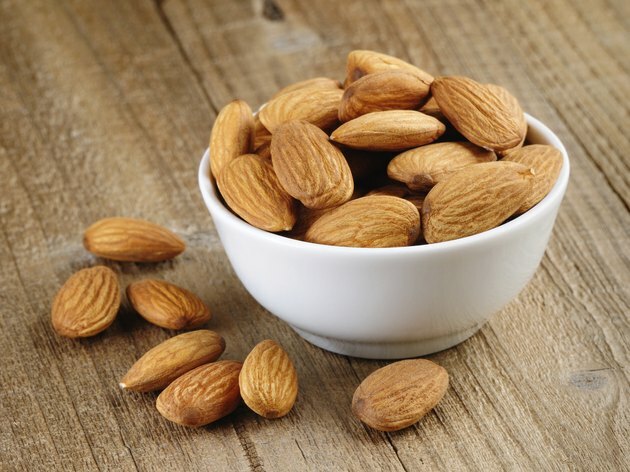 Almonds contain 46.4 micrograms of molybdenum per cup, while a cup of peanuts has 42.4 micrograms. Cashews contain slightly less -- 38 micrograms of molybdenum per cup -- but still fulfill about 84 percent of a man or woman's RDA of the nutrient. Consuming dry-roasted, unsalted nuts as a snack can help you get enough molybdenum without pushing you over your recommended limit for sodium. Keep a small container of your favorite nuts in your car, bag or office drawer to help you avoid the temptation of fattier, less healthful snacks when you're hungry. 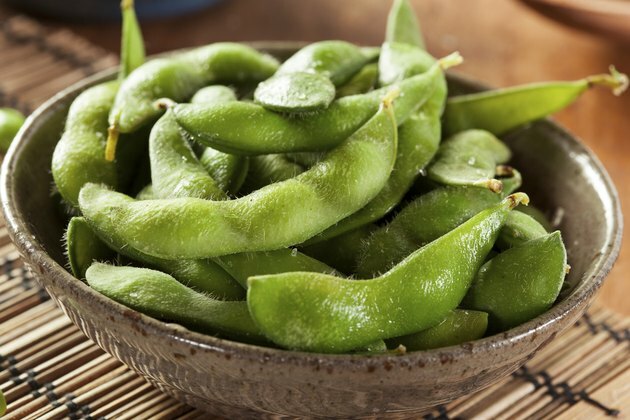 While soy products like tofu and soy milk are low-fat and high-protein, immature green soybeans -- often called edamame -- are the stars of the soy family when it comes to molybdenum content. A 1-cup serving of green soybeans contains 12.8 micrograms of molybdenum, or more than 28 percent of the required daily intake for adults. 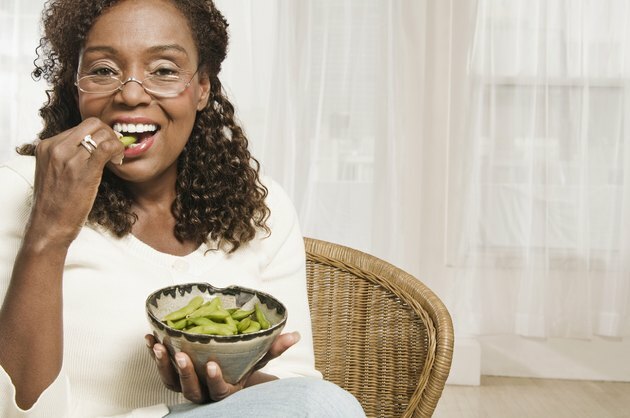 Steam green soybeans and eat the seeds as a snack with salt or your choice of seasonings, advises "New York Times" food writer and cookbook author Mark Bittman. Alternatively, use the seeds in pasta dishes, casseroles, stir-fries or as a side dish for grilled or roasted poultry, seafood or lean meat. A 1-cup serving of yogurt contains 11.3 micrograms of molybdenum, which supplies 25 percent of the mineral's daily requirement for an adult. 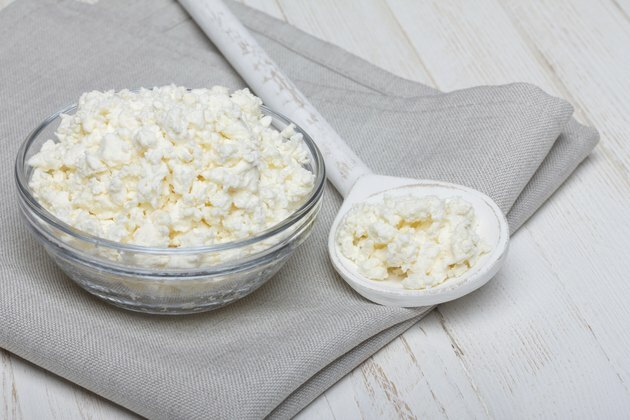 Cottage cheese has 10.4 micrograms per cup, and milk has approximately 5 micrograms of molybdenum in every cup. If you include dairy products in your diet, choose low-fat or nonfat items whenever possible. The U.S. Department of Agriculture says that doing so gives you the benefit of the nutrients in dairy products without the high saturated fat and cholesterol content of full-fat dairy items. ChooseMyPlate.gov: Dairy -- What Foods Are Included in the Dairy Group? Are Raw Peanuts Good for You?